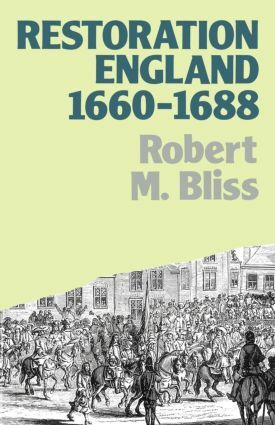 Dr Bliss’s pamphlet discusses in detail the Restoration settlement as both an expedient solution to the problems facing Charles II and the political nation in 1660 and as a basis for a long term solution to the problems of relations between crown and parliament, public, finance and religion. These are the principle recurring themes of this, but explicit attention is also given to foreign policy, to relations between central and local government, and to the structure of central government itself. The book combines a broadly narrative approach with concentration on certain problems, e.g. finance, which the author has identified as particularly significant.